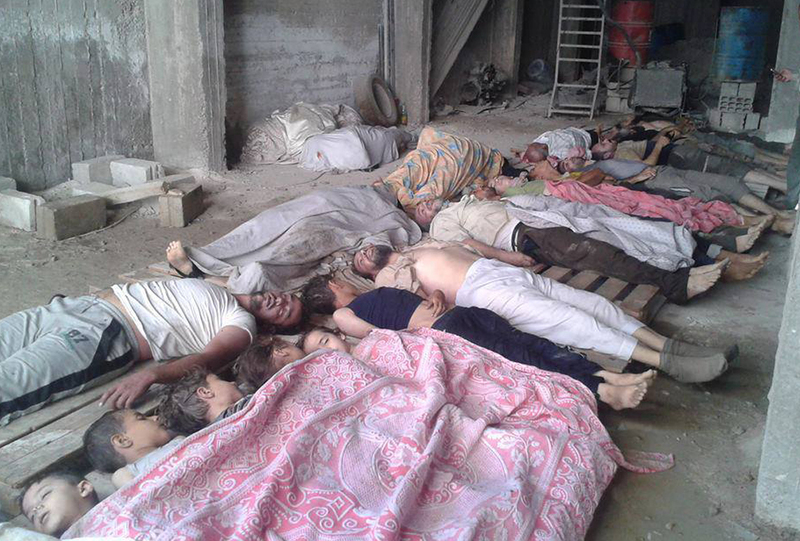 Three years have passed since the Syrian regime perpetrated the most atrocious and horrendous massacre against the Syrian people in the modern age when its forces used Sarin gas to bomb Eastern and Western Ghoutas a few hours before dawn to kill as many people, who were sleeping, as possible. No less than 1,127 individuals including 107 children and 201 women were killed on that day but not even one drop of blood was shed. What is even worse is the red line that was drawn by the president of the United States of America Mr. Barrack Obama which was crossed when those people were killed in cold blood. The criminal, however, had only to surrender the weapon and was left freely. What is even more insulting is the fact that Security Council adopted Resolution 2118 after the massacre of the Ghoutas which threatened that there will be actions under Chapter VII in case these violations reoccur. SNHR has published 25 reports on the use of poison gases in Syria since the first documented chemical attack on 23 December 2012 in Al Bayyada neighborhood in Homs as the most recent report was published on 20 August 2016 which documented new chemical attacks carried out by government forces and ISIS. Government forces was the only party using chemical massacres until this changed on 21 August 2015 as we documented no less than three uses of poison gases by ISIS in Marea’ city in Aleppo governorate.